If you are much active on social media then you must have seen webmasters talking frequently about how ad blocker is affecting their earning. Today I am going to share one ad network Poptm which bypass around 90% of the ad blockers. Poptm is an online advertiser and publisher network. It is really very much useful for both companies and publishers. It is a famous pop under ad network based in India. The publishers can increase their revenue by over 75% with the same traffic with some high quality advertisers. Also, the best thing is Poptm accepts with all the niches as far has you have real traffic and good content. 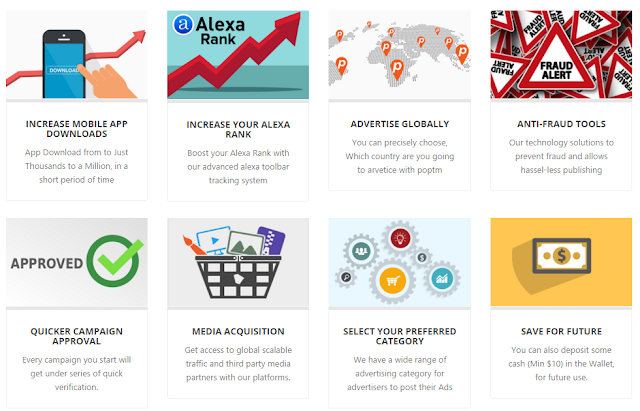 With these benefits to publishers, advertisers can also reach to their targeted customers by advertising on different sites under the same niche. 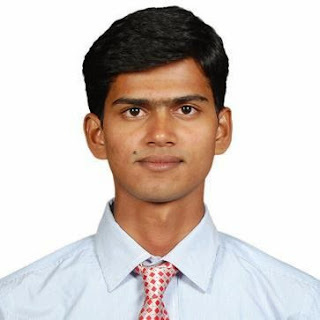 As stated above, Poptm is a pop under network which bypass almost 90% of the ad blockers and hence increase the earning of web masters with the same traffic that you get currently. There are numerous features that Poptm is providing to their publishers. Here I am mentioning few of those awesome features. This ad network is not only famous for their quality but also the best what I know about this is, their ad network bypass the ad blockers and so you are getting the money which you deserved. Poptm is using “Rotating Code Techniques” which prevent the ad blockers to add their original domain to the black list. Poptm assures 99.9% of profit through bypassing Ad-Block plug-ins. You are free to work freely. Among all the ad network I have come across, Poptm is having minimum payout. As soon as you reaches $10, you are free to withdraw the amount. Currently you can withdraw your amount only through PayPal but very soon they are adding Wire Transfer and few other methods as well. The approval process is really quick in approval process. 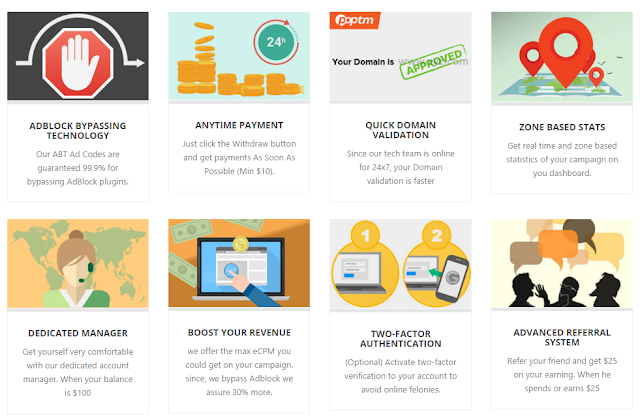 You just submit your site and their technical team will do a quick validation of your domain and if your site is fulfilling all their criteria, you will get approved within 24 hrs. This is also a unique feature by Poptm. Though this facility is not available for all the publishers but if you are reaches to $100 then you will be getting a dedicated account manager who will be helping you to earn more by optimizing the ads. Poptm is sharing 95% of the total revenue earned by you. But do remember you will be getting for only real earning and not for any unethical stuff done in any means. Apart from all these five features which I shared above, below are some of the other features shared by Poptm. • Almost all websites are accepted. • Online support through many instant messengers and through email. • Many targeting & optimizing possibilities and various traffic sources. • No limits. We pay for all visitors, worldwide traffic. • Clean ads. We test the campaigns landing pages multiple times every day. • Real time stats. We provide you powerful tools to analyse your income. Like publishers, Poptm take care of their advertisers as well. You will get help from the Poptm teams at each and every steps who will help you to optimize the ads for great ROI. 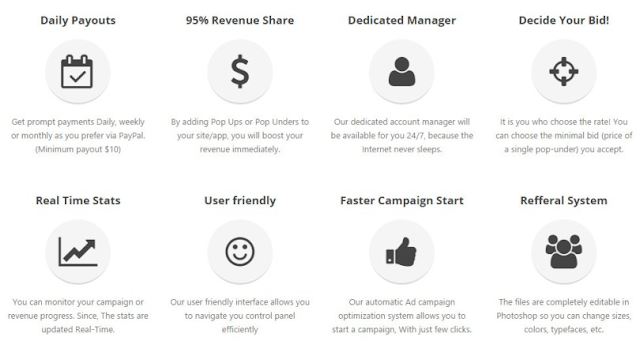 Below are some of the great features by Poptm for advertisers. This is the basic query that most of the advertisers have including me. Many times I create campaign and have to wait for a day or two to get that live and by then half of the time gets already spent for that particular campaign. With Poptm this issue will be resolved as they approve the campaign very quickly. I bet this is indeed a great tool for advertisers as they keep on complaining that their ads are not generating any sales. These issues usually comes because some unethical ways are employed by the publishers. But with the help of this tool, such activities will be monitored and any issue will be taken care immediately. Yes, if you want to keep some amount in your wallet, you are free to do so. You can add cash in your account for future use. The minimum amount for this is $10. • Instant updated detailed statistics of your campaign. • Minimum deposit amount is only $10 with no campaign minimum budget. • You choose when to start a campaign, pause or stop it. Poptm ad network is really a good alternative to traditional advertising and publishing networks. You can really earn great amount with the help of this network as a publisher. Also, the best thing is no matter you are new or an established site owner, you are good to use this network and same applies to advertisers as well. Have your tried Poptm yet?